Give you car a much more aggressive aesthetic and turn heads with this expertly crafter Carbon Fiber Trunk Spoiler. The newest BMW 5-Series is a fantastically elegant and attractive design, but there is always room for improvement with any car design. In the case of the G30/F90 the rear of the car slopes downwards at the back, giving it a softer look. 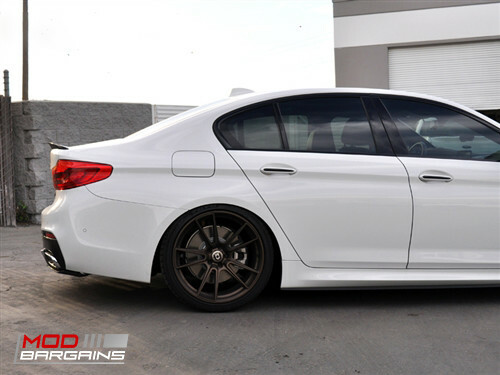 With a rear trunk spoiler it gives you a small uptick at the end of the trunk that drastically affects the profile of the car and gives it a much more aggressive look. This piece also works great with a carbon fiber diffuser so your rear end has a complete performance feel to it. It's a subtle piece, but the effect it has on the car as a whole is quite large.